Located in Westlake, Louisiana, the Lake Charles Manufacturing Complex (LCMC) was completed in 1941 at a cost of $4.5MM. The refinery was originally designed to process 7,500 barrels of crude oil per day to supply high-octane aviation fuel to WWII war planes. After 75 years of upgrades, LCMC now processes 249,000 barrels of crude oil per day. Each upgrade of the facility brought additional complexity and market advantages. LCMC produces a high percentage of gasoline, diesel and aviation fuels. Most of its refined products are distributed by truck, railcar, barge or major common-carrier pipelines in the southeastern and eastern United States. In addition, refined products can be sold into export markets through the refinery's marine terminal. The Refinery alone contributes $85 million to the local economy annually; it is estimated that 8,000 local jobs result from Phillips 66’s operations. The most recent annual statistics show that $71 million was spent in materials and services with Louisiana companies and $9.6 million was paid in Calcasieu Parish taxes. The Lake Charles Manufacturing Complex employs approximately 770 people. There are also about 345 contractors who work on site. Total annual payroll exceeds $85 million. Safety is a core value at Phillips 66 and is the way we do business. There is nothing more important than having every person working in our facility going home safely every day. The refinery works hard and invests heavily in our people to achieve safety excellence. 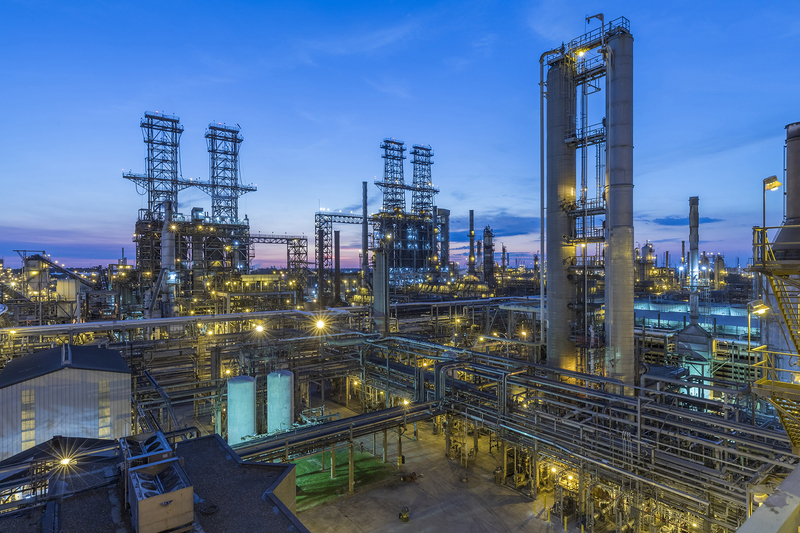 Phillips 66 Lake Charles Manufacturing Complex won the 2017 American Fuel and Petrochemical Manufacturers (AFPM) Distinguished Safety Award in recognition of their safety accomplishments. The Distinguished Safety Award is the highest award given by the AFPM that recognizes the top 1% of refineries and petrochemical plants that have attained an exemplary level of safety performance, management and safety culture. The Lake Charles Refinery is committed to the company’s pledge to conduct business with respect and care for the environment in which we operate. The refinery has a good track record of flare-less startups, has invested significant dollars to control odors and minimize waste and continues to improve environmental performance year after year. In addition, the refinery has partnered with other local industries to develop an offsite episodic monitoring system. In 2017, the Lake Charles Manufacturing Complex had the best year ever for environmental events.